Breaking up can be hard. And if we think it's difficult, imagine how stressful it is when you're in the media spotlight! But these celebs prove with grace and decorum, that you can have a strictly platonic relationship with someone who has been inside of you. 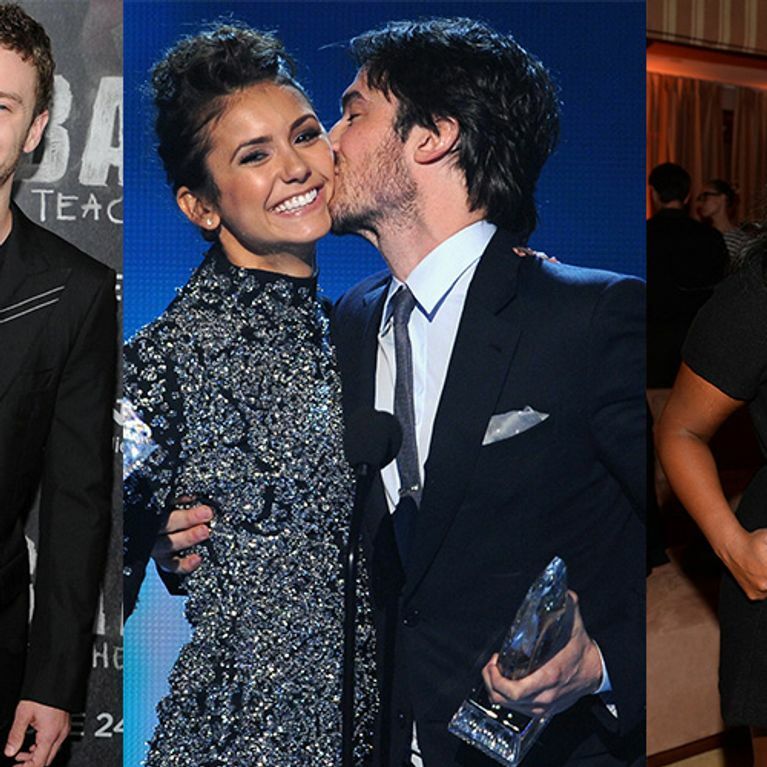 Here's 12 of our favourite friends who also happen to be exes. Demi Moore and Bruce Willis are the OGs of the amicable break up. The pair were married for a whopping 13 years, and had three daughters, Scout, Rumer and Tallulah. They divorced in 2000, but continued to stay close for the sake of their kids. As co-parents and newfound friends, Bruce even attended Demi's wedding in 2005 to toy boy Ashton Kutcher, and would regularly appear alongside the family at red carpet events. But in case you were worried that Bruce was just trying to make his way back in there with Ms Moore, don't panic - he is also married to a beautiful model, Emma Heming, and they have a baby together. So there they are: the holy grail of friendly ex relationships. One Tree Hill actress Sophia Bush and Google exec Dan Fredinburg may have split up in August 2014 after dating for 10 months, but when Dan died in April 2015 after an earthquake in Nepal triggered an avalanche on Mt. Everest, Sophia took to Instagram to express her love for him. She did so again on his 34th Birthday, saying poignantly "I love you my friend. I'm grateful for every memory." The relationship between Reese Witherspoon and Ryan Phillipe was the envy of every cult film fanatic. But the pair actually met before they starred in the 1999 film Cruel Intentions, and were married in the June of that year. They have two kids, Ava, 16 and Deacon, 12. The good looking duo called it quits in 2006 after seven years of marriage, but that doesn't stop them hanging out for the sake of their kids, regularly being papped together at sporting events and days out. 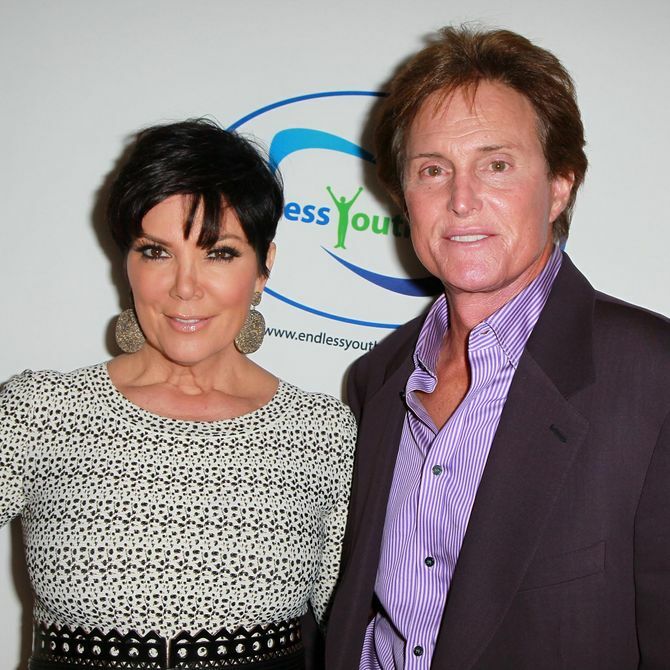 Kris and Bruce announced their separation in October 2013 after a massive 22 years of marriage. Their statement to the world said that they were "much happier this way," and their divorce was finalised in 2014. Just two days after they released their statement, Kris uploaded a picture to Instagram featuring Bruce and her stepsons Brandon and Brody, captioned "Another amazing night @brodyjenner @sprandoni and Bruceeeeee!!! Too fun I love you guys!!!" Which is confusing, right? After Bruce transitioned into a woman and started going by Caitlyn, she was given her own TV show entitled I Am Cait. There was plenty of tension in the show during a meeting between her and Kris after some unsavoury comments were made by Caitlyn in Vanity Fair, but all was forgiven in the end, and Kris told Haute Living that her only wish is that, "Caitlyn finds her joy." Gwynnie and Chris split in 2014 after 11 blissful years of marriage which spawned two of the most imaginatively-named kids in Hollywood, Apple and Moses. Desperate to avoid any negative connotations, the pair rather pompously called their break up a "conscious uncoupling," and made the announcement whilst on holiday in the Bahamas with their kids, further proving that they work well even when not consciously coupled. Everyone's favourite Disney Channel heroine Hilary Duff split with her professional hockey player husband Mike Comrie in 2014 after three years of marriage. In their official statement the couple said that they would "remain best friends and continue to be in each other's lives," and you gotta give it to 'em, they've pulled through with their promise. Hilary's Instagram shows that the pair regularly come together to support their son, 4-year-old Luca. Hilary and Mike, showing celebs how it's done! Even though the pair only dated for a few months in 2010, Demi Lovato and Joe Jonas have been friends for years. They starred in Disney film Camp Rock together in 2008 and Joe even admitted in an interview with Vulture that Demi was the one who taught him how to smoke pot. Luckily, Demi wasn't too mad that Joe had dropped her in it, stating in an interview with Giuliana Rancic that she told Joe "I love you, it's all good. We're always going to be friends." Vampire Diaries brought them together, so when stars Nina Dobrev and Ian Somerhalder broke up in May 2013, fans were understandably gutted. But have no fear, because the two remained good pals post-split. Ian even tweeted Nina on her birthday, saying "Happy Birthday @ninadobrev !!! The world loves you! We all do Enjoy the moment, enjoy the day, enjoy the year!" N'awww! Big Bang Theory co-stars Kaley Cuoco and Johnny Galecki managed to keep their relationship a secret for a whole two years whilst filming the show, with it only becoming public once the couple had gone their separate ways romantically. Now that is what you call stealth! They have both since gone on to date other people, with Kaley marrying (and divorcing) tennis player Ryan Sweeting. At the time, Johnny said of the engagement: "She's very happy, which makes me terribly happy." Now that's a good friend! Their relationship lasted 8 years and brought into the world one daughter, but Kate Beckinsale and Michael Sheen were not to last. Yet, they are another couple whose platonic relationship has stood the test of time. The couple made news earlier this year when Michael and his new girlfriend, comedian Sarah Silverman, turned up at the premiere of Kate's latest film to show their support. Kate said of the surprise at the closeness of the trio's relationship: "Sarah’s such a fantastic woman, I love her and Michael and I have gotten on for years now. I’ve known him since I was 22, we’re basically family."